New Haven Photo Day is asking anyone and everyone to take a photograph in New Haven on June 17, 2017, and upload it to this website (www.newhavenphotoday.com/submitphoto). 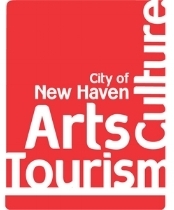 New Haven Photo Day’s goal is to receive hundreds if not thousands of submissions, creating a broad portrait of New Haven on that day. To participate, just take a photo anytime between 12:00am and 11:59pm on June 17th anywhere in New Haven and upload it here to be included in this community collaboration. Each person can submit up to three photos. We will be leading and hosting many photo walks all around New Haven that day. Here is the list of scheduled walks.